Peter Cooper visits Southern England's military training area to report on the importance of the Forward Air Refuelling Platform. Warbirds Downunder 2013 and Glenn Alderton was there to witness the fun and excitement. One of the worlds largest joint military exercises. Richard Cooper reports on the first RAF-France joint commanded operation. 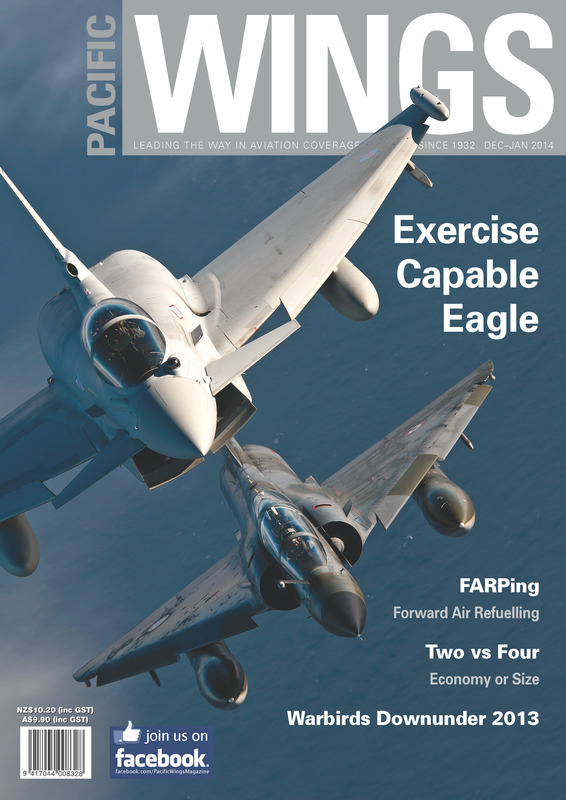 Philip Stevens brings to Pacific Wings' readers a report on the Italian Air Force Museum at Vigna di Valle. Rob Neil discusses the changing times when four engines were once better than two. A selection of compiled images of NASA's F-16XL program. Paul Sortehaug continues with his New Zealand Air Aces series. This month, Flight Lieutenant Thomas Grey Culling.